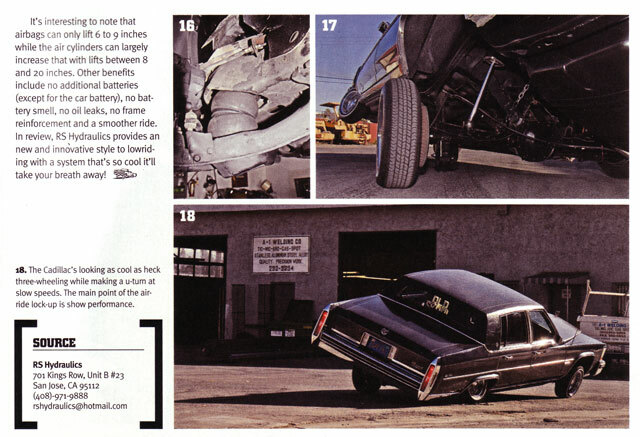 Our shop is proud to have been featured in a number of magazines, videos & other publications over the years. 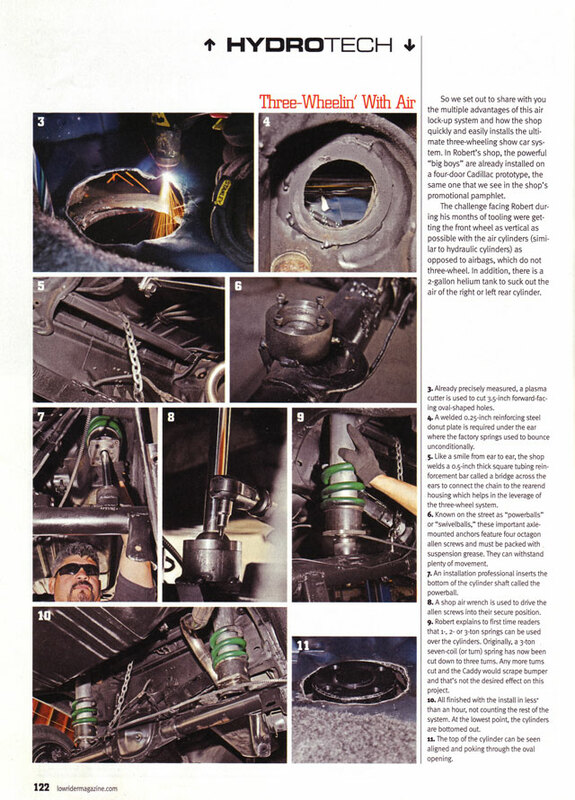 From reviews of our custom innovations like Air Lock-Ups & the Red Dragon pump to articles in magazines featuring systems that we've built or worked on to participation in contests & events this page will include a sampling of some of the press our shop has gotten in the past. 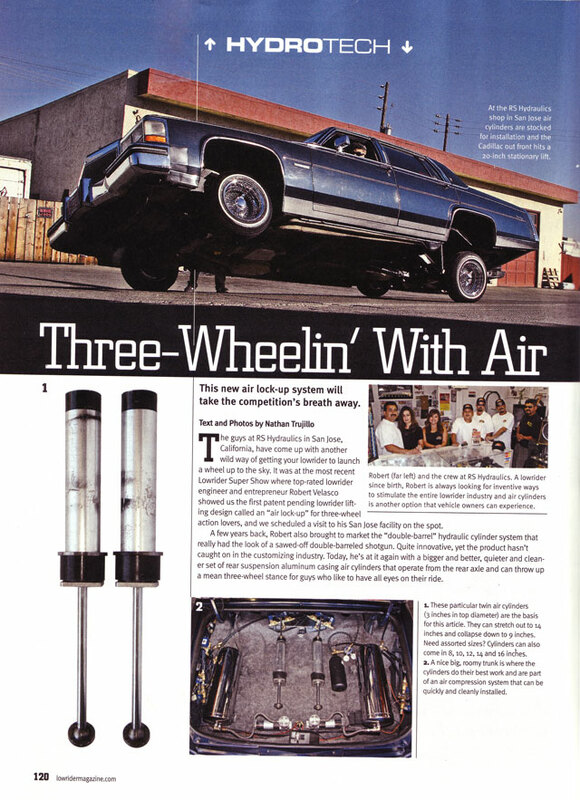 Products & services shown on this page may no longer be available. Please contact us with any questions. 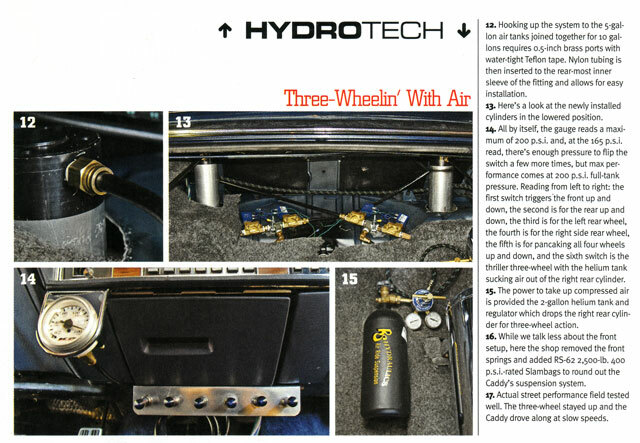 Lowrider Magazine did a 4 page review of the RS Hydraulics patented exclusive Air Lockups.